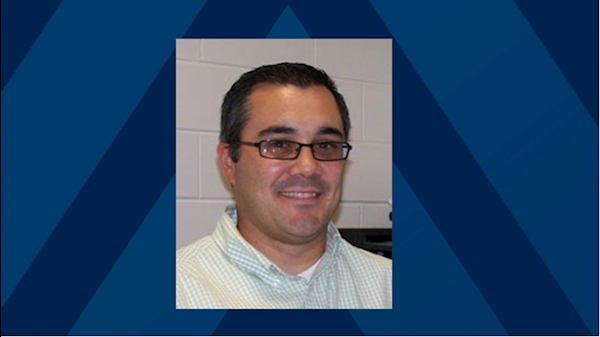 MORGANTOWN, W.Va. – West Virginia University researchers may have uncovered the cause of muscle fatigue in breast cancer patients. A recent study led by Emidio Pistilli, Ph.D., associate professor in the WVU School of Medicine Division of Exercise Physiology and the Department of Microbiology, Immunology, and Cell Biology, suggests that molecular alterations in the cell tissue of breast cancer patients may be the cause of fatigue in patients. Dr. Pistilli worked with Elena Pugacheva, Ph.D., director of the Preclinical Tumor Models Core Facility at the WVU Cancer Institute, to obtain skeletal muscles from animal models that were implanted with human breast tumors. Their research found that muscle fatigue increased with the progression of tumor growth. In the next stage of the study, Pistilli partnered with Hannah Hazard-Jenkins, M.D., associate chair of surgery for Cancer Services at the Cancer Institute, to obtain muscle biopsies of breast cancer patients at the time of their mastectomy surgery and isolate the genetic material in order to study the fatigue properties of the muscles. The next stage of their research will use the animal model they developed to test therapeutic interventions targeting pathways involved in muscle fatigue. Pistilli is applying for a grant from the National Institutes of Health to fully determine the mechanisms that contribute to muscle fatigue associated with breast cancer and identify mechanisms to alleviate that fatigue in patients. The study titled “Dysregulation of metabolic-associated pathways in muscle of breast cancer patients: preclinical evaluation of interleukin-15 targeting fatigue” was published in the March 26 issue of the Journal of Cachexia, Sarcopenia and Muscle. In addition to Drs. Pugacheva and Hazard-Jenkins, research collaborators include Mary Davis, Ph.D., professor emeritus in the Department of Physiology, Pharmacology, and Neuroscience; Joseph Bohlen, research assistant in the Division of Exercise Physiology; Sarah L. McLaughlin, biological technician at the WVU Cancer Institute Animal Models and Imaging Facility; Aniello M. Infante, lead bioinformatician at the WVU Genomics Core Facility; and Cortney Montgomery, B.S.N., R.N., research nurse in the WVU Clinical Trials Research Unit. The WVU Cancer Institute is recruiting participants for an immunotherapy clinical trial for patients with metastatic melanoma or recurrent or metastatic head and neck squamous cell carcinoma.